Mental health is a huge issue for students on college campuses across the nation, and even though institutions with on-campus mental health services show better graduation rates, American River College has yet to provide any help to its students. Most students have had days where they’ve felt down more than usual, but when feelings of gloom stick around for days or weeks, it might be time to think about mental health. For the general population, an estimated one in five adults in the U.S. met the Diagnostic and Statistical Manual of Mental Disorders, edition IV (DSM-IV) criteria for mental illness, according to the 2014 National Survey on Drug Use and Health. The DSM-IV is a manual detailing criteria for mental disorders, and is used by clinicians to diagnose mental illness. The 2010 National Survey of Counseling Center Directors, which monitors the amount of students seeking mental health treatment on college campuses, reported that 44 percent of clients had severe psychological problems, versus only 16 percent in 2000. According to the 2015 Center for Collegiate Mental Health Annual Report, which surveyed over 100,000 students seeking mental health treatment across more than 340 college campuses, nearly one in three students have seriously considered suicide, and one in 10 have attempted suicide. This, along with rates for depression and anxiety, have steadily increased since the 2010 report, though this may be due to more students seeking treatment for mental illness. Although the increasing amount of students willing to seek help is a positive achievement for the mental health awareness movement, many students at community colleges are in a service gap. Fifty-eight percent of four-year institutions have on-site psychiatric services, but comparatively, only 8 percent of community colleges do, according to the 2014 American College Counseling Association survey. American River College falls into the category of those without on-site mental health services. Although there are complications with funding and implementation, it doesn’t change that mental health is an essential part of college success. 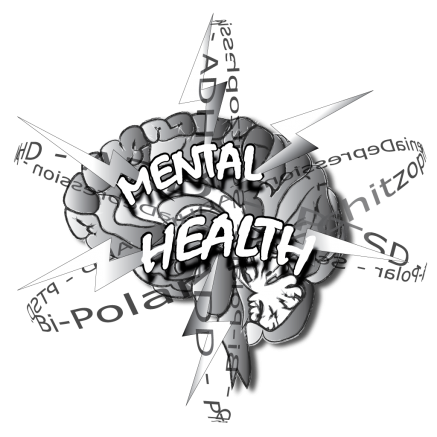 Mental illness does not exist within the vacuum of a psychology course; it is a part of the day-to-day lives of many students. When suicide is the second-leading cause of death among college-aged students, there needs to be conversation at the institutional level about why this happens, and more importantly, how it can be prevented. The numbers show that investment in college students’ mental health pays off. As much as $56 million in benefits to the community are gained per year of investment into the California Mental Health Services Authority program, according to a 2015 study by the RAND Corporation. This is attributed to “expected increased lifetime earnings for additional graduates,” according to the RAND study. Mental health is not just about prevention and treatment, it is also about living a fulfilled, thriving, and happy life, which is why it’s important for ARC to offer services for mental health. Timothy Lipuma is a first-semester student on the Current, where he serves as a staff member. He plans to transfer after graduation and is double majoring in Psychology and General Science. Be the first to comment on "Opinion: Mental health services are needed at ARC"